It is our greatest pleasure to create invitations! We enjoy the entire process and are especially pleased when the client is happy as well! We were privileged to create a custom invitation for one of our client’s 40th birthday party. The celebration was grand and the invitation was no less. 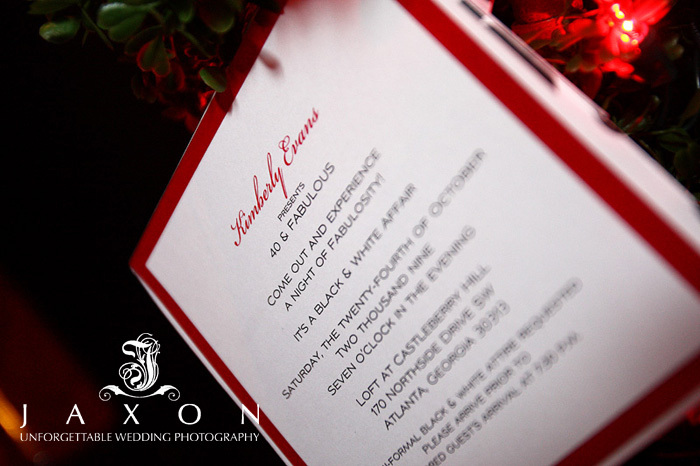 This client chose black, white, and red for her color scheme and we combined the colors to create a stunning invitation that would POP! We customized a patterned black and white pocketfold and complimented it with red accents on the outside and inside. This invitation would prove to be a staple for the rest of the party décor. We also provided custom napkins for the evening of the party. 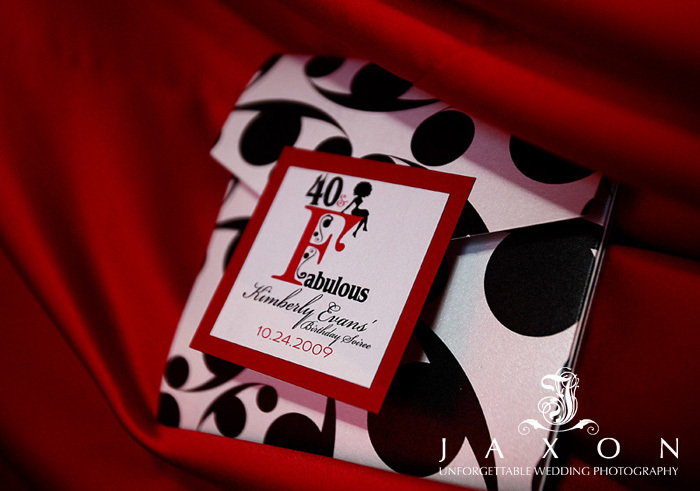 The bold monogram certainly made a statement and Kimberly Evans made her 40 indeed fabulous! Special thanks to one of our most favorite photographers, Livingston Jackson, who provided the photos. Copyright protected by jaxonphoto.com. Please do not use without permission.